This was an interesting debate between MCA’s Datuk Seri Dr Chua Soi Lek and DAP’s Lim Guan Eng. 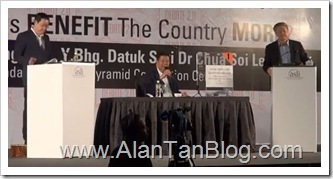 The video below consist of about two-hour of debate that was organised by the Asian Strategy and Leadership Institute (Asli) on July 8 2012 at the Sunway Pyramid Convention Centre. Datuk Seri Dr Chua Soi Lek talks about Stock Market…LOL…He didn’t know that our stock market is heavy manipulated(prop up) by local funds? It was reported EPF alone traded over 60% volume traded in Bursa Malaysia. I think the rakyat is wise enough to judge who has present a more beneficial national policy for the rakyat. This debate is a good practice and should be continue. 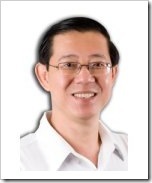 However Lim Guan Eng said he won’t debate with MCA president Dr Chua Soi Lek for the third time. I think everybody are more interested on the debate between Prime Minister Datuk Seri Najib Tun Razak and Opposition leader Datuk Seri Anwar Ibrahim. Why did Datuk Seri Najib Tun Razak until today never did so or took the challenge? Political opponents Chua Soi Lek and Lim Guan Eng face each other for the second time in a public debate today, in a battle that is likely to transcend the duo’s personal egos right into the hearts and minds of the Chinese voters. The debate started with Lim’s opening remarks. Lim: “MCA is not qualified to talk about politics here, as it is not MCA who decides – it is Umno who decides. “The MCA speaks only for the Chinese, and those from the Peninsula – not Sabah or Sarawak. “It is different for DAP – we want to speak for all Malaysians. Malay, Chinese, Indians, Iban, Kadazan. “We are all Malaysians. Look at the NFC scandal,” he said. “Who gains? The cronies. The losers are the citizens of Malaysia. “For last 50 years, consumed by race and religion. For the next 50 years, let us be consumed with the tasks of economic wellbeing. “BN has never spoken truthfully to the people. Let Pakatan Rakyat speak truthfully to you. “DAP believes a clean government can always perform better than a corrupt government. “If Penang dares to review the assets of the CM, why is the PM afraid of reviewing his assets and those of his ministers?” he said. Dr Chua: “Just now YAB asked why the PM didn’t want to debate with Anwar. I want to say here, it hasn’t happened because he is the prime minister. He is busy with the transformation policies, to improve the country. “From 2008 to 2011, the ease of doing business improved compared from 2003 to 2008. Malaysia is the fifth most favoured FDI nation in Asia. “Anwar is full of rhetoric, no specifics, short on delivery. He has to convince us to translate this rhetoric into what we call delivery. “MCA has been involved in nation building from day one. We were the one involved in the fight against the communist insurgency, the resettlement of the Chinese in new villages, the fight for independence, the rights of citizenship after independence. That’s why citizens like Guan Eng are citizens of the country. “We laid down the foundations. We have progressed, advocated integration not assimilation. That’s why Guan Eng is not called Sukarno Lim. “What has PR done for us? No clear direction. “Look at the four PR states, 95% of the promises are janji janji kosong. “Everyday tell the whole world you give hundred dollars to the old people. “Two hundred to the newborn and they must be voters. We give RM200 to our newborn babies. “DAP has only one thing to show. They collect a lot of money from the rakyat. Despite calls of accountability, transparency – nothing to show. Transparency, Accountability, where are they? Where has the money collected gone to? Question: Mr President… Many urban voters perceive MCA has not done enough. The perception is that many urban voters are not supporting MCA. What would you do to try regain more support for MCA? Dr Chua: We accept the fact this is a multiracial country and the policy of BN is the policy of balancing. DAP likes to tell the Chinese they are marginalised. The poverty rate of the Chinese is still lowest among three major races. Employment rates the highest. Property ownership largest. Cannot deny in the implementaion process there are people who benefit more than others, this is the bone of contention, causes a lot of Chinese to be angry with the government and MCA bears the burden of this. “DAP tries to portray itself as a multiracial party, but only dares to contest in Chinese constituencies. “Why don’t you contest in multiracial constituencies? We are a mono-ethnic party, but our aims are clear. “In this country we have to balance the needs and sensitivities of all countries. No particular race will feel happy. Question: Many people still see DAP as Chinese-based party. Are you a Chinese party or multi-racial party, how would you try to win more support among other races if you are multiracial. Lim: From the very start we are a multiracial party. Our chairman is Indian, we have Indian MPs, have Malay MPs and state assemblymen in the past. We are fair to all regardless of race and religion. Would like the MCA president know that not every Chinese rich as the MCA leaders. Not every Chinese can apply for PR in Australia. Don’t forget that the Chinese community pays the most taxes in Malaysia. At the same time we want to see justice and see our Malay brothers and sisters are assisted. Why is it poor Chinese can’t get scholarships but rich bumiputras can? Don’t go and talk about DAP forming a kindergarten. We are a political party to determine the future of Malaysia. TAR College is clearest example of failure of MCA. Why was it established? Because of unfair quota policies where qualified students cannot enter public universities. so you formed TAR College. Shame on you MCA. Don’t say we haven’t built low cost housing. We have built. Don’t lie. Question:Is MCA scared of Umno, that they don’t dare to question corruption claims? Is there equal partnership in BN? Dr Chua: I take objection to that question to say MCA is sacared of Umno. Not a fair question. If I say – and I’ve always said – if the state Cabinet, state exco and federal Cabinet, all the discussions are taped. The government should declassify the tapes and then they understand better the role of MCA in a multiracial country. Why is DAP so quiet about Anwar’s alleged account of RM3bil, this from a statutory declaration? This is equal partnership, let me tell you PR claims equal partnership but until today PAS have never openly endorsed Anwar as prime minister. You can’t even agree on a party common symbol and logo and register the party. Question: I’ve read your Buku Jingga, stated among other things that if party win GE, forms central government they are going to abolish all road tolls, PTPTN and give income to houses that make less than RM4,000 to make up that amount. Lots of other goodies. How are you going to implement these policies bearing in mind annual revenue does not exceed RM200bil. Lim: This the first time I’m hearing from a minister admitting corruption cost us RM26bil. Question is, what you doing about it? Are you accepting the fact that BN permits corruption? That’s why I say shame on you again. Don’t talk about collections from public. When DAP organises dinners, we don’t give free dinners like MCA or Umno. We charge because we rely on public funds to survive. We don’t steal the government’s money. That is the difference between BN and PR, the difference between MCA and DAP. I think you need to read the right Buku Jingga, I think you read the wrong one. Abolish tolls, estimate of RM35mil. If you don’t believe can be done, vote us into power and we show you can be done. Question: On Chinese independent schools. Dr Chua: I only wish DAP is more specific. Why is it not written more clearly they will build more Chinese schools? Independent schools? Recognise UEC? I openly asked Anwar, are you going to build more Chinese schools? More independent schools? Because if it is from DAP, I dont trust it. Why? Cos DAP will say this is not common policy framework. Lim:We are not like MCA leaders who go to jail for cheating rakyat of its money. When you talk about building of schools, judge by the deeds of the PR government in Selangor and Penang. We have given land, we have given funding, we have given funding every year. If PR can give to all these schools, independent, Indian, Chinese, every year funding, why BN cannot do so? Don’t question our openess to allow independent Chinese schools. When you talk about Anwar if PR wins power he will be Prime Minister. Question: What national education policy should there be to generate competent citizens? Lim:We cannot ignore the fact that human talent will be the future of our country. Not a question of building human talent but retaining human talent. Since Merdeka two million Malaysians left the country because they see no future for themselves or Malaysia. They see they don’t have freedom, integrity or justice. That’s why we are fighting for freedom, democracy, integrity, justice. To fight corruption is not hard, only depends on whether you got political will. No laws (to combat corruption) in Penang but we have wiped out corruption in Penang, I am proud to say. If we win power in Malaysia, we will do the same in Malaysia. That is why so many people are afraid. Dr Chua: When people are educated or talented, they have economic independence and social mobility. Almost all developing countries face brain drain. This no justification. That’s why when I say we trained 200,000 talented people, the Penang Chief Cminister says shame on us. Look at our meritocracy policy, number of non-Malays in tertiary gone up. Last year, JPA gave more scholarships to all races, 20% to needy, disadvantaged in Sabah and Sarawak. Talent Corp is another good example of reaching out. When we train talent they say shame on you. If you can’t do it, admit you can’t. No country in the world can meet needs of education for all citizens. Since Merdeka, two million Malaysians have migrated overseas because they do not see a future for themselves and for Malaysia. It is time that we don’t live in our past that is filled with hatred and fear. We should look to the future filled with hope and harmony between all Malaysians. To put the past behind us, we must stop the politics of race and religion. To put the past behind us, we must end corruption. To put the past behind us, we must abolish the suppression, oppression, repression of our basic human rights and freedoms. To put the past behind us, we must demand good governance and performance from our ministers. Mengapakah kita terperangkap dalam permainan perkauman Barisan Nasional yang cuba menakutan orang Melayu bahawa mereka akan kehilangan hak mereka dan jawatan Perdana Menteri. Selagi kita mendukung Perlembagaan Persekutuan, hak Melayu dan bumiputera terjamin bersama-sama dengan hak sahih orang bukan Melayu. Sekiranya Pakatan Rakyat menang, calon yang paling layak akan menjadi Perdana Menteri, iaitu Dato’ Seri Anwar Ibrahim. Jangan kita biarkan Barisan Nasional terus memperalatkan isu perkauman anti-bukan-Melayu hanya untuk mengekalkan kuasa. Adakah ini menguntungkan rakyat apabila BN tak mahu jawab mana pergi RM52 bilion saham yang sepatutnya diberikan kepada orang Melayu dan bumiputera miskin. Kita mesti faham bukan semua orang Cina yang kaya. Sama juga, bukan semua orang Melayu yang miskin. Ada ramai orang Melayu yang kaya macam Tan Sri Syed Mohktar dan Pengerusi Eksekutif SYABAS Tan Sri Rozali Ismail. Mengapa minta rakyat Malaysia berbangsa Cina balik China tetapi tak tanya sama menteri Cina yang pernah pohon PR Australia. Barisan Nasional akan menggunakan perkauman untuk menakutkan kita kerana mereka sudah tiada isu lagi. Jangan kita menakutkan diri sendiri dan terus menyokong sebuah kerajaan yg bersifat kroni & rasuah. Hanya dengan perubahan kepada ketuanan rakyat dan bukan ketuanan UMNO barulah kita boleh bebaskan diri daripada rasuah dan hidup bermaruah. To attain peace Malaysians must stand united and reject those who wish to divide us by preaching racial and religious hatred. If we want to benefit from equal opportunities and realize our human potential we must stop extremists from continually degrading others as inferiors so as to uplift ourselves. Why should Allah not be allowed to be used in the Bible when it is used in the Middle East? For those who say that PR do not know how to govern, the 4 PR states of Penang, Selangor, Kedah and Kelantan have proven our ability by beating the other 10 BN states by attracting RM25 billion in investments comprising 53% of Malaysia’s total investments of RM47.2 billion in 2010. For the first time in history, Penang is now the new champion of investments in Malaysia, coming out top in 2010 with RM 12.2 billion. Tentang rasuah berapa banyak wang lagi yg kita nak hilang. Seorang penternak lembu yang daripada muda sehingga tua tak boleh dapat pinjaman berjuta-juta ringgit. Tetapi seorang keluarga menteri sungguhpun tak ada pengalaman menternak seekor lembu pun boleh mendapat 250 juta ringgit. Tapi wang digunakan untuk membeli kondo pula. Bukan sahaja pemimpin-pemimpin kita jadi orang terkenal, tetapi lembu kita pun terkenal. Tengoklah skandal-skandal lembu & kondo. Sampai negara Singapura yg banyak kondominium pun nak belajar macam mana boleh menternak lembu dalam kondominium. Mengapakah dalam skandal Forex Bank Negara pada tahun 90an apabila Malaysia rugi lebih 15 bilion ringgit orang yg bertanggungjawab tidak dihukum tetapi sekarang dilantik menjadi menteri dalam Pejabat Perdana Menteri? Bilakah kita nak hentikan kerugian wang ini lagi? Adakah 100 billion tak cukup? Kita nak 12 billion lagi. Jangan lupa 1 ribu billion ringgit wang haram sudah mengalir keluar dari negara. Janganlah biarkan wang negara terus disia-siakan, kita mesti berani membuat perubahan yg boleh menjaminkan kehidupan anak-anak kita. Barisan Nasional cannot reform to end corruption. Remember, if we do not end corruption, Malaysia dies. If we end corruption, BN dies. The choice is clear. To put the past behind us, we must abolish the suppression, oppression, repression of our basic human rights and freedom. How can we have a clean government when we do not have clean elections? Hanya pilihanraya bersih boleh memastikan sebuah kerajaan bersih. The next government should be decided by Malaysians and not by phantom voters or Bangladeshis or Myanmarese. Saya percaya kita mahu rakyat Malaysia dan bukan pengundi hantu atau rakyat asing yang menentukan siapa menang kalah dalam pilihanraya umum ke-13. We do not want our children to live in fear of oppressive laws as we have lived. A Pakatan Rakyat government will abolish the UUCA, the Sedition Act and the Printing Presses and Publications Act and restore local government elections. Kita tidak boleh menerima penyalahgunaan kuasa dimana rakyat Malaysia boleh mati dalam tahanan. When can we find justice for Teoh Beng Hock, Ahmad Sarbani and A Kugan? When will we have Freedom of Information & Freedom of Speech? When can we have justice that is not only done, but is seen to be done. To put the past behind us, we demand good governance and performance from our ministers. Malaysia can be an international and intelligent country. We must have digital intelligence with broadband connectivity. We must also have integrity intelligence, so ensure that only honest people are the decision-makers. We must have institutional intelligence under the rule of law. We demand good governance and performance from our ministers. Has the Transport Ministry done its duty to run our airports and seaports well? Look at the Penang International Airport whose completion has been delayed more than 3 times. And the Penang Port is to be reduced to be a feeder port and privatized to a 3rd party at the expense of Penangites. Why is there no consultation with the people of Penang to restore the port to its former glory? Instead of looking after airports and ports, the Transport Ministry is more interested in vehicle registration numbers and wants to increase the maximum traffic fines to RM2,000. Director-General of Tourism is wrongly charged of corruption but the Tourism Minister finds nothing wrong with spending RM1.8 million in doing up her Facebook page, when we all know that it can be done for free. The Health Ministry wants to privatise healthcare when it should be a public good given as an affordable right to all Malaysians. Why allow the wastage of public funds and affect the quality and affordability of drugs when drugs are bought through a middleman at higher prices when it could be bought cheaper direct from the manufacturers, some of which are operating in Malaysia. The Housing and Local Government Ministry opposes local government elections in Penang, denying our fundamental democratic right to elect our councillors and our mayors. We believe that Malaysians deserve better. For the last 50 years, the wealth of the nation has been robbed. Let us protect the future of our children by ensuring we have a people-centric government that protects you instead of harming you, that rewards you instead of stealing from you, that respects you instead of abusing your rights. Let us clean up Malaysia to save our children’s future. We must put the past behind us where profits matters more than our health. Lynas concerns all of us because if Lynas is allowed to operate, Barisan Nasional will proceed with building two nuclear reactors. If we continue to put health above profits, what is the use of having all the money in the world if you cannot enjoy it healthily? The next elections shall be fought on the economy. We refuse to allow BN to use race as the issue in the next elections. We need to increase the incomes of our poor or else they will fall victims to the Ah Longs. For example, Bank Negara’s Annual Report 2010 revealed that Malaysia’s household debt at the end of 2010 was RM581 billion or 76 per cent of GDP, thus giving us the dubious honour of having the second-highest level of household debt in Asia. In addition, the Malaysian household debt service ratio stood at 47.8 per cent in 2010, meaning that nearly half of the average family’s income goes to repaying debts. As a rule, banks would not lend money to those whose total servicing of loans exceeded one third of their income. In other words, we are spiralling into an indebted nation. According to the New Economic Model documents, the bottom 40% of Malaysian households are living with a monthly average income of RM1,500 (and three-quarters of them are bumiputera) while 60% of the households (of four persons averagely) live with a less than RM3,000 income, which is near subsistence if one lives in the cities. These are families living in fear. We will help them live with dignity and not in fear, by increasing their incomes and cutting down their costs, with a minimum wage, getting rid of monopolies, expanding internet connectivity and encouraging creativity, innovation and productivity. South Korea is a very good example of a nation that chose democracy, performance and freedom of opportunity to become a developed country. With a population of 48 million, its GDP per capita of USD20,000 is more than double Malaysia’s. But in 1970, South Korea’s per capita GDP was only USD260 compared to Malaysia’s USD380 we used to regularly beat South Korea at football. And now our children are fans of K-pop culture and their football team are regulars at the World Cup. Only when we free ourselves of fear of change, can we be free to prosper. BN cannot change. They need to be changed, for BN wants to rule by fear. Thomas Jefferson has said “When the governments fear the people, there is liberty. When the people fear the government, there is tyranny”. The choice is yours, my friends. I urge you – Let us change so we can have liberty and live with dignity. DAP secretary-general Lim Guan Eng said he won’t debate MCA president Dr Chua Soi Lek a third time because he hopes that the next debate should be between prime ministerial candidates. He said that the stage is now set for a showdown between Prime Minister Najib Abdul Razak and PKR de facto leader Anwar Ibrahim. This entry was posted on Sunday, July 8th, 2012 at 11:13 pm	and is filed under General. You can follow any responses to this entry through the RSS 2.0 feed. Both comments and pings are currently closed.